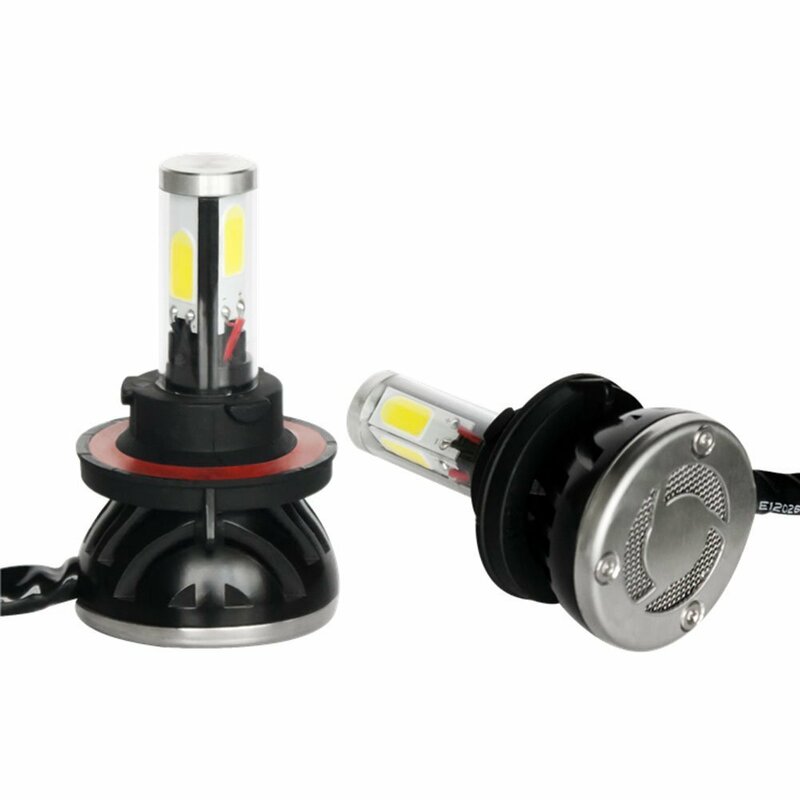 Home › Energy-Efficient LED Lighting › Kshioe Led Headlight Conversion Kit - H13 40W 4000Lm 6000K Led - Cool White -..
Kshioe Led Headlight Conversion Kit - H13 40W 4000Lm 6000K Led - Cool White -.. Excellent LED chip,cool white 6000K light 40W With 4,000Lm (2400Lms per bulb),Modular Heat Protection (MHP) technology to ensure over 4000 hr life. 2 pairs light cover,standered with 6000k.Mature beam pattern,LED lamp irradiation range wider than normal,also,LED lighting almost with no dark spots. Heat-protected with integrated cooling chip and fan for heat dissipation.Low power consumption,long lifespan,easy installation and anti-dust & anti-collision features . Easy and Simple installation.Usually takes less than 20 minutes.no electrical wire splicing in most vehicles with clear,easy-to-follow instructions included.